It was a terrible crime. 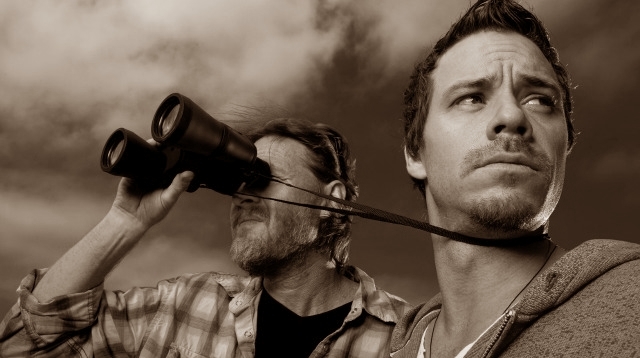 A crime that the 2010 series "Terriers" was canned after just one season. Hank Dolworth and Britt Pollack (played by Donal Logue and Michael Raymond-James, respectively) are unlikely duo of unlicenced PIs in Southern California, fighting the good fight. Hank is a former cop fallen upon hard times, somewhat of a stereotype with his alcohol problem (and his ex-wife problem) and otherwise stuck between that proverbial rock and the other place. Britt is his ex-con partner (a B&E man) who serves as foil to Hank's impetuousness as he tries to stay on the right side of the law and remain an honest man for the love of his life. Together they are a (usually) effective team working doggedly on behalf of their low-rent clients and then there is the conspiracy which they inadvertently have stumbled into. Doggedly. See what I did there? Anyway, it's a show that doesn't take itself too seriously - it's billed as a comedy-drama after all - but manages to strike the right balance between the two and keep the narrative flowing. The characters are given some depth and development as they face their own demons and issues that motivate them to act in the manner that they do. There are only 13 episodes but, thankfully, the series wraps up the main storyline neatly. The 'cliffhanger', for want of a better word, also works nicely as the finale. If you haven't seen 'Terriers', you probably should. Is 'Gang Stalking' a real phenomenon? Now THAT's a surveillance van..